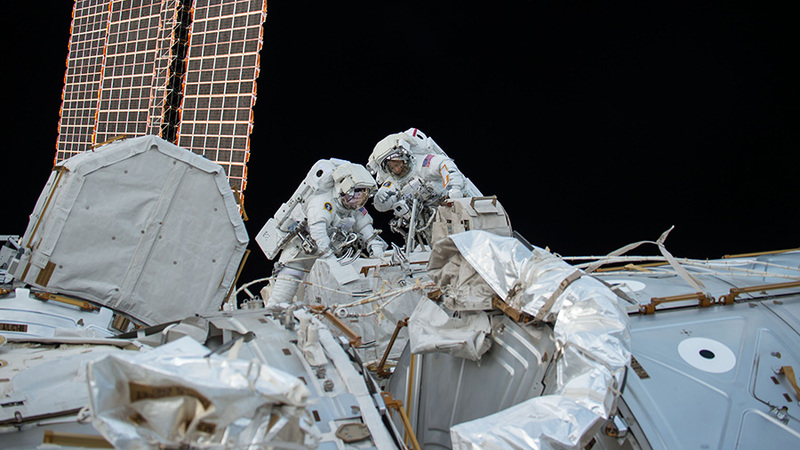 Spacewalkers Mark Vande Hei and Randy Bresnik are pictured Oct. 5, 2017, working outside the International Space Station. Expedition 53 Commander Randy Bresnik and Flight Engineer Mark Vande Hei of NASA will head outside the International Space Station at approximately 8 a.m. EDT Tuesday to begin a 6.5-hour spacewalk. Live coverage will be available on NASA Television and the agency’s website beginning at 6:30 a.m.
During Tuesday’s spacewalk, Bresnik and Vande Hei will lubricate the Canadarm2 Latching End Effectors (LEE) that the spacewalkers replaced Oct. 5. Canadarm2 has two identical Latching End Effectors used to grapple visiting cargo vehicles and payloads, provide data and telemetry to the rest of the Canadian-built Mobile Base System and the unique capability to “walk” from one location on the station’s truss to another. The Canadarm2 grappling mechanism that was replaced last week experienced a stall of its motorized latches last month. This will be the 204th spacewalk in support of space station assembly and maintenance, and the second of three spacewalks planned for October. Expedition 53 Commander Randy Bresnik and Flight Engineer Mark Vande Hei of NASA completed a 6 hour, 55 minute spacewalk at 3 p.m. EDT. The two astronauts replaced one of two Latching End Effectors (LEE) on the station’s robotic arm, Canadarm2. 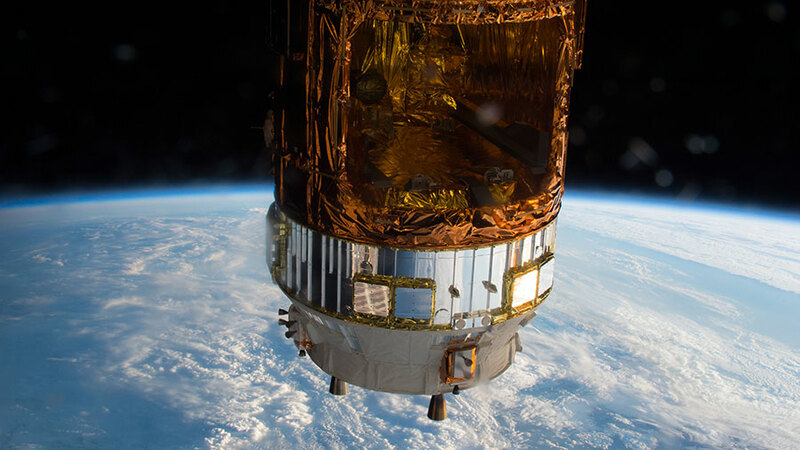 They also accomplished a couple of get-ahead tasks, including removal of the multi-layer insulation from a spare direct current switching unit. They also prepared a flex hose rotary coupler for future use. 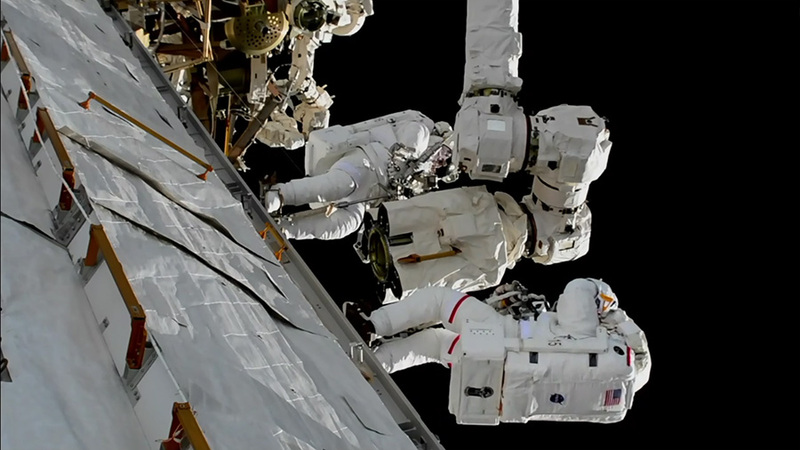 This was the first of three spacewalks planned for October. Bresnik will lead the next two, as well. Vande Hei will join him again Oct. 10 with Flight Engineer Joe Acaba joining him Oct. 18. The second and third spacewalks will be devoted to lubricating the newly installed end effector and replacing cameras on the left side of the station’s truss and the right side of the station’s U.S. Destiny laboratory. Today’s spacewalk was the third for Bresnik’s career and the first for Vande Hei. 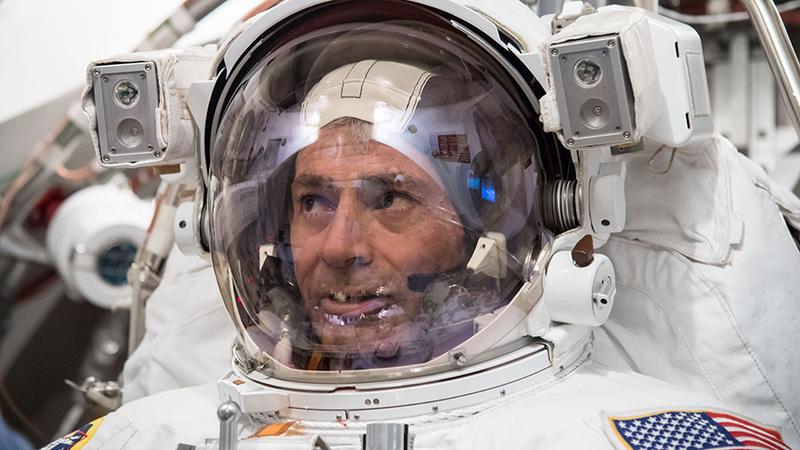 The Oct. 18 spacewalk will mark the third of Acaba’s career. Astronaut Mark Vande Hei trains for a spacewalk at the Johnson Space Center in March of 2017. Expedition 53 Commander Randy Bresnik and Flight Engineer Mark Vande Hei of NASA will head outside the International Space Station at approximately 8 a.m. EDT Thursday to begin a 6.5-hour spacewalk. Live coverage will be available on NASA Television and the agency’s website beginning at 6:30 a.m. 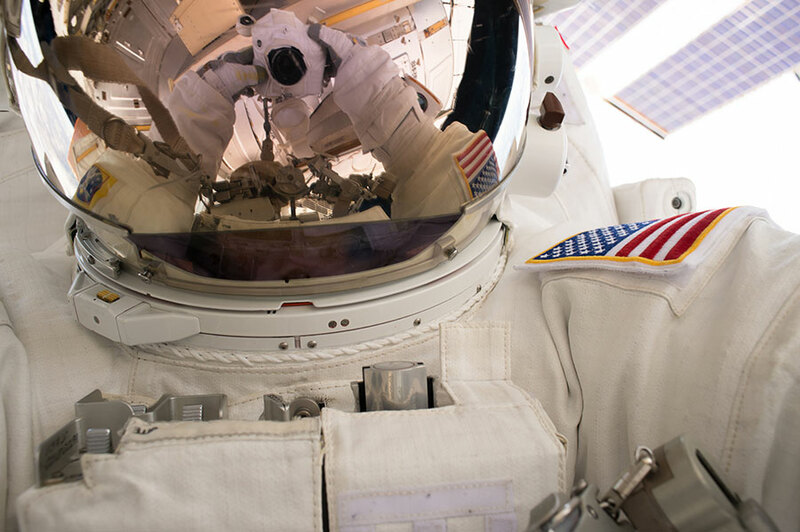 This is the first of three spacewalks planned for October. Bresnik will lead all three, with Vande Hei joining him again Oct. 10 and Flight Engineer Joe Acaba joining him Oct. 18. During Thursday’s spacewalk, Bresnik and Vande Hei will replace one of two Latching End Effectors (LEE) on the station’s robotic arm, Canadarm2. 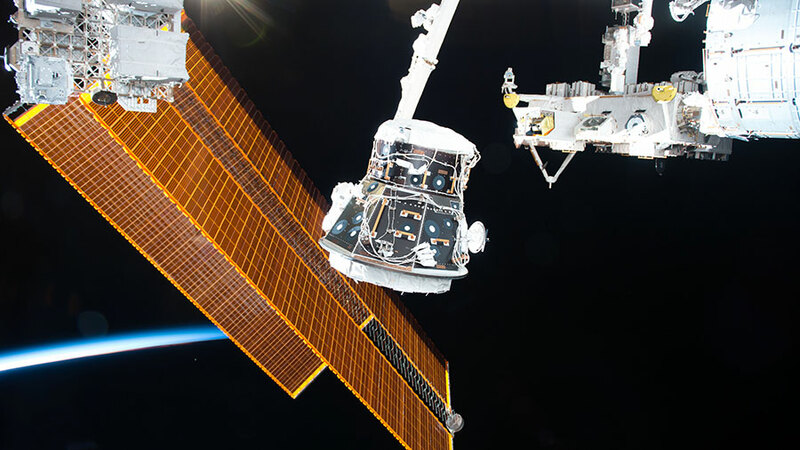 One of the Canadarm2 grappling mechanisms recently experienced a stall of its motorized latches, but the problem has had no effect on planned station operations. A spare LEE is stored outside on the station’s truss. Canadarm2 has two identical Latching End Effectors used to grapple visiting cargo vehicles and payloads, provide data and telemetry to the rest of the Canadian-built Mobile Base System and the unique capability to “walk” from one location on the station’s truss to another. This will be the 203rd spacewalk in support of space station assembly and maintenance. 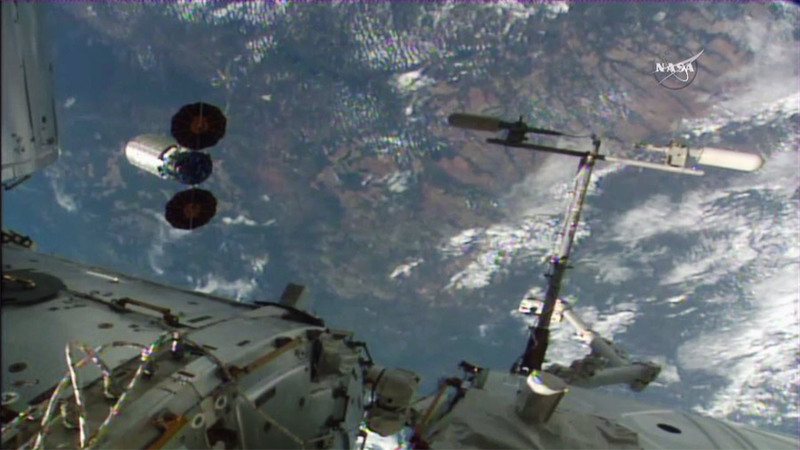 Using the International Space Station’s robotic Canadarm2, Expedition 51 Flight Engineer Thomas Pesquet of ESA (European Space Agency) and Commander Peggy Whitson successfully captured Orbital ATK’s Cygnus cargo spacecraft at 6:05 a.m. EDT. The space station crew and robotic ground controllers will position Cygnus for installation to the orbiting laboratory’s Earth-facing port of the Unity module. NASA Television coverage of installation will begin at 7:30 a.m., and installation of the Cygnus spacecraft to the space station is expected to be completed later this morning. Learn more about the Orbital ATK CRS-7 mission by going to the mission home page at: http://www.nasa.gov/orbitalatk. Join the conversation on Twitter by following @Space_Station. 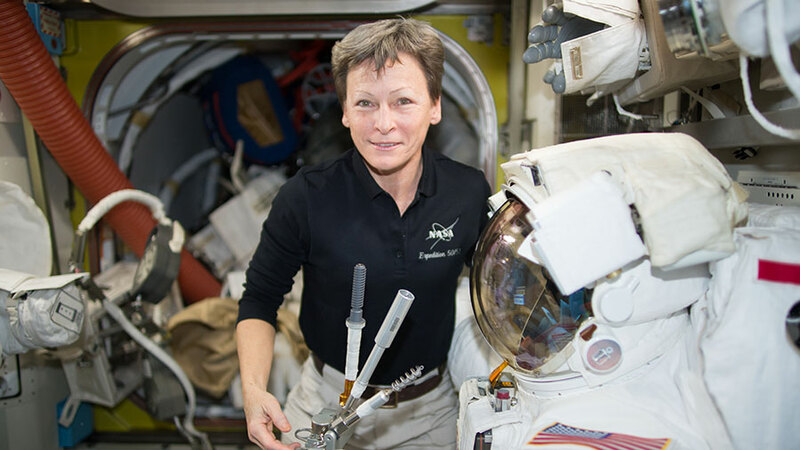 Astronaut Peggy Whitson works on a U.S. spacesuit inside the Quest airlock. Two Expedition 50 astronauts are in final preparations for the first of two power maintenance spacewalks that starts Friday at 7 a.m. EST. Astronauts Shane Kimbrough and Peggy Whitson will stow and replace power gear during the first 6.5 hour spacewalk. 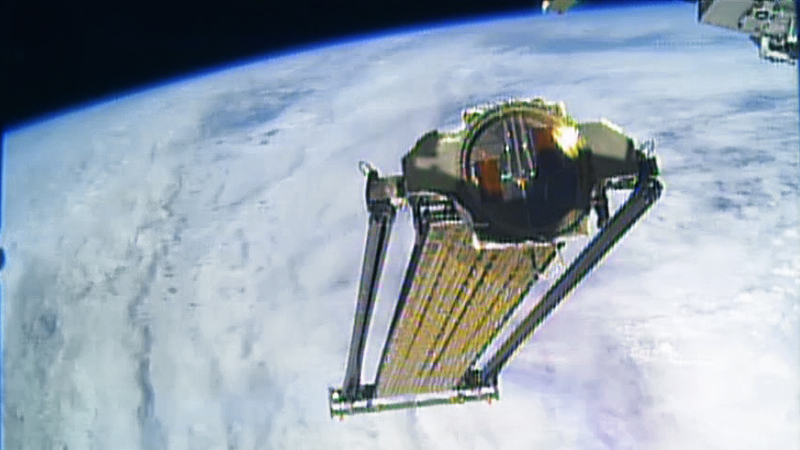 The duo will work near the solar arrays on the starboard truss segment. The two spacewalkers will be assisted by ESA astronaut Thomas Pesquet and cosmonaut Oleg Novitskiy from inside the International Space Station. Pesquet will conduct the second spacewalk Jan. 13 with Kimbrough to wrap up the battery installation work. The majority of the complex power upgrade work was done by controllers on the ground remotely using the Canadarm2 robotic arm and hand. The three cosmonauts worked on an array of station maintenance tasks and advanced space experiments. Cosmonauts Andrey Borisenko and Sergey Ryzhikov researched how blood flow and respiration is affected by living in space. Novitskiy explored the station’s magnetic field and how it affects navigation. Expedition 47 robotic arm operator Tim Kopra of NASA commanded the International Space Station’s Canadarm2 robotic arm to release the Cygnus spacecraft at 9:30 a.m. EDT while the space station was flying above Paraguay. 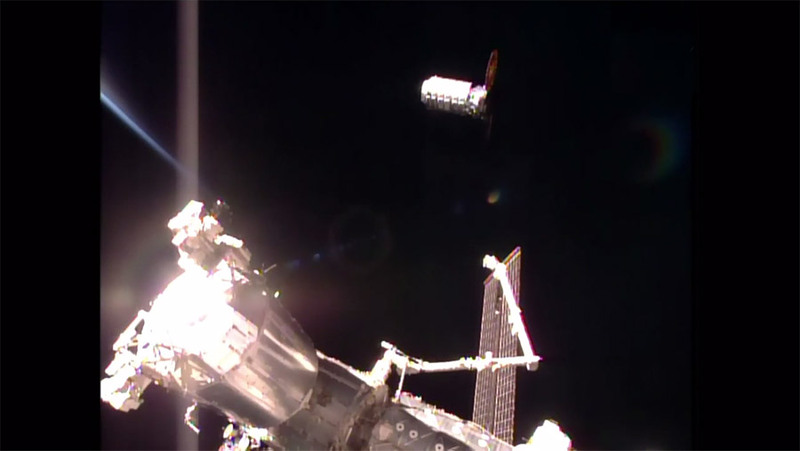 Earlier, ground controllers detached Cygnus from the station and maneuvered it into place for its departure. After Cygnus is a safe distance away, ground controllers at Glenn Research Center in Cleveland, Ohio will initiate the sequence for Saffire-1, and controllers at Orbital ATK in Dulles, Virginia, will activate the experiment. Cygnus will continue to orbit Earth for up to eight days as it transmits hi-resolution imagery and data from the Saffire experiment. Following complete data transmission, the Cygnus spacecraft will complete its destructive entry into the Earth’s atmosphere on June 22. NASA TV will not provide a live broadcast of the Saffire experiment or the Cygnus deorbit burn and re-entry, but imagery from Saffire will be posted on NASA.gov as it becomes available. The Cygnus resupply craft launched March 22 on a United Launch Alliance Atlas V rocket from Cape Canaveral Air Force Station, Florida, for the company’s fifth NASA-contracted commercial resupply mission.